Story: Captain Phillips is a multi-layered examination of the 2009 hijacking of the U.S. container ship Maersk Alabama by a crew of Somali pirates. It is - through director Paul Greengrass's distinctive lens - simultaneously a pulse-pounding thriller, and a complex portrait of the myriad effects of globalization. 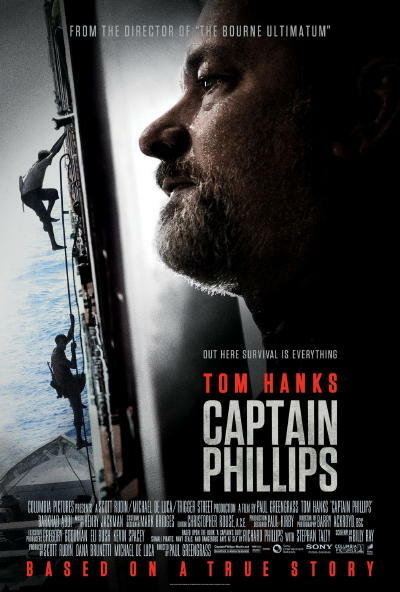 The film focuses on the relationship between the Alabama's commanding officer, Captain Richard Phillips, and the Somali pirate captain, Muse, who takes him hostage. Phillips and Muse are set on an unstoppable collision course when Muse and his crew target Phillips' unarmed ship; in the ensuing standoff, 145 miles off the Somali coast, both men will find themselves at the mercy of forces beyond their control.